HTC Desire 520, the best 4G budget smartphone with mid-range features finally launched in USA along with HTC Desire 626s, HTC Desire 526. HTC Desire 626 (US). HTC Desire 520 will be available soon through AT&T, Cricket, Sprint Prepaid, T-Mobile, Verizon Wireless, and Virgin in Post paid and pre paid plan in Steel Grey colour option expected to be priced approx. $120(Approx. Rs 7500 in India). The all new HTC Desire 520 is the best budget smartphone supports 4G LTE Dual-SIM(GSM+WCDMA), dual Micro-SIMs, Wi-Fi, FM radio, Bluetooth, GPRS/ EDGE, GPS/ A-GPS, 3G comes with a bigger 4.5-inch FWVGA display (480×854 pixels) resolution with a pixel density of 234ppi delivers stunning colour consistency from almost any angle and perfect for watching movies, playing games and reading e-books. HTC Desire 520 run uns on Android 5.1 Lollipop OS with HTC Sense 7UI skinned on top powered by 1.2GHz, quad-core Qualcomm Snapdragon 410 with 1GB RAM promising superior gaming environment and blazing multi-tasking while 8GB Internal memory expandable up to 2TB via MicroSD card offers enough space to store your date. HTC Desire 520 sporting a 8-MP Primary camera with LED flash, f/2.2 lens and with BSI sensor; HTC Eye perfect for catching your favourite moments and an 2-MP front-facing camera with BSI sensor; HTC Eye offers you the best video calling and Selifes experience. It also packed with a 2000mAh battery promising up to 11 hours of talk time and up to 386 hours of standby time including Dual Front-Facing Speakers, HTC Themes, HTC BlinkFeed, and HTC Sense Home applications. 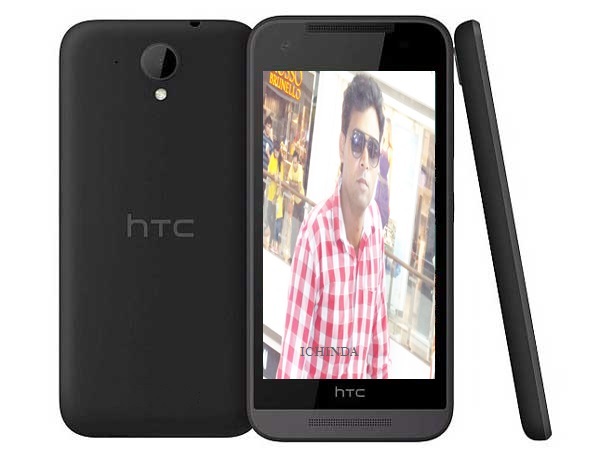 At last few honest word, the all new HTC Desire 520 is the best budget phone from HTC. What you think? Please be open to give your view.